Ascribe Rx offers comprehensive pharmaceutical solutions through a full suite of products and services designed to reduce cost while improving medication management, safety and control. The Automated Dispensing System resides directly in your facility. You have 24 hour, on-site access to PRN medications and first administration doses. The system is supported by an Ascribe Rx or affiliated pharmacy that supplies the stock medications. Our packagers are capable of holding up to 240 unique medications, including C-II. The system offers state-of-the-art security, including battery backup camera feed and a seperately locked control cabinet. Time to first dose is within minutes, not hours or days. PRN medications are immediately accessible and dispensed in individual, controled and labeled packets - not wasteful blister cards. Medications are dispensed in a custom sorted strip of packets. 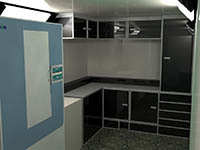 The strip can be organized by name, room/bed, administration time... whatever suits your efficiency needs best. Regulations require blister carded medication excess to be disposed, wasting valuable resources. This waste is also affected by changes in the prescription. With a unit-dose dispense, there is no excess. Don't throw money away. Access information about prescriptions, residents and their dispensed doses, system access and more. We even have a web-based tool to help you identify which medications are most cost effective for your residents. Though are systems can boast a 99.98% up time, for the remaining 0.02% we provide a world class support department capable of handling anything from remote-fixes to on site repair and training. 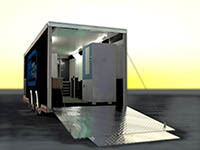 Bringing the show on the road, Ascribe Rx has created a custom trailer to demonstrate their technology to the public. 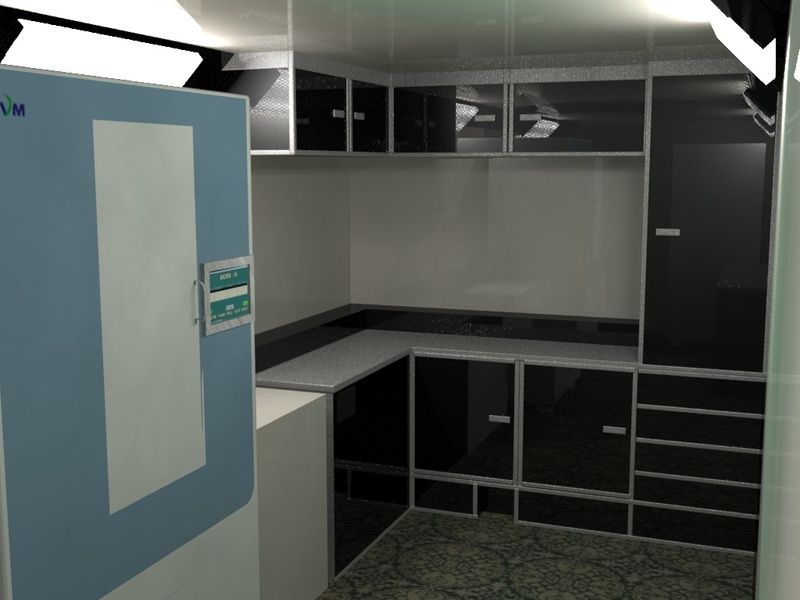 Inside, a fully operational pharmacy and facility system can be operated (dispensing candy!) to give a strong demonstration of how the system works. The project took several weeks to complete, drawing on the talent of many skilled individuals. "Our software is designed to work over the internet, so pulling the entire package into a unified, offline structure was a fun challenge" comments David Johnson, Manager of Support and Implementation. Coming next month, Ascribe plans to showcase the new demo trailer across the country.